Electric powered garden shredder with 50 l bag. 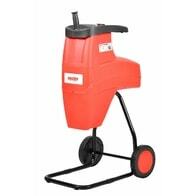 Electric powered garden shredder with power input 2600W. Shredding done by crushing roller (very silent), branches pulled automatically. 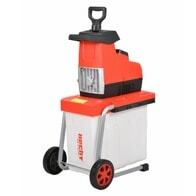 Suitable for cutting branches of up to 4 cm diameter. Crushing with crushing roller . 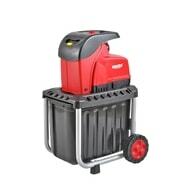 Electric garden shredder with a 2800 W. Weight 25 kg. Cut branches up to 4.5 cm in diameter. 60 l crushed material basket. Crushing using a knife. 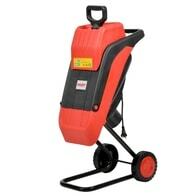 Electric powered garden shredder with power input 2800 W. Suitable for cutting branches of up to 4,4 cm diameter. Equipped with big plastic 60 litres collecting box.